London: Britain faces a "national emergency" as the risk of a no-deal Brexit rises, business and union leaders warned in an open letter to embattled Prime Minister Theresa May. The heads of Britain''s biggest employers'' grouping, the Confederation of British Industry, and union umbrella organisation the Trades Union Congress, urged May to change tack and find a "Plan B" to avert the country leaving the European Union without a deal. "Our country is facing a national emergency. Decisions of recent days have caused the risk of no-deal to soar," read the letter from CBI director-general Carolyn Fairbairn and TUC general secretary Frances O''Grady. "Firms and communities across the UK are not ready for this outcome. The shock to our economy would be felt by generations to come," added the pair, who have demanded an "urgent meeting" with May. The grim warning, contained in a rare coming together of two organisations usually at odds with one another, comes as May meets the other 27 EU leaders in a Brussels summit to plead for a three-month postponement to Brexit. The premier has already asked EU President and summit host Donald Tusk for the withdrawal date to be moved to June 30 from March 29. However, EU leaders are likely to refuse her request, leaving Britain vulnerable to departing from the bloc with no trade deal in place. 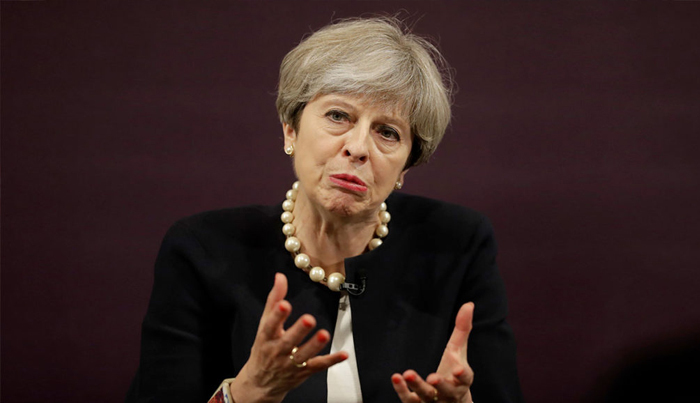 May''s Brexit deal has twice been resoundingly rejected by British lawmakers, and a third vote the premier hoped to hold this week was cancelled by the House of Commons speaker on procedural grounds. "The current deal-or-no-deal must not be the only choice," added Fairbairn and O''Grady in their joint letter.